Joshua P. Weintraub, D.D.S., P.A. I love talking with patients and getting to know them, assisting and comforting them while working with a dental team that works very well together. 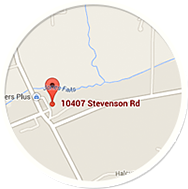 Before working at Stevenson Smiles, I worked in pediatric dentistry for several years. I am an expanded function, x-ray certified dental assistant. My job description includes assisting the doctor chairside, taking x-rays and maintaining sterilization of instruments and equipment. I am married with one son. I love spending time with my family and pets! Helping our patients, seeing to it that they are comfortable and understand what’s going to happen during their visit, and chatting with them, are the best parts of my work. I also take X-rays and impressions, perform sterilization, and assist our doctors in caring for our patients. This is a great office with an amazing team. Everyone is committed to delivering excellent care and smiling and laughing while doing so. My home life is filled with my husband and new baby daughter. I also enjoy losing myself in a good book, taking walks, and being with my friends and loved ones. I enjoy getting to know our patients. It’s great to meet so many interesting people. It’s nice to be working in in office where everyone works together to deliver the best quality care. This makes working here so exciting! I am a board certified expanded function dental assistant. My duties include ensuring patient comfort, explaining treatment to patients and taking x-rays. I was born in Washington D.C. and raised in Baltimore. I have a wonderful three year old son who makes my life all the more worthwhile. I love to sing, cook and sight see! Getting to know our patients as we work together toward healthy smiles is very rewarding. Each patient is unique, and I like that I get to know them as friends, because their visits are a chance to catch up on their lives, families, and adventures. As a hygienist, I perform dental cleanings and X-rays. A lot of my time is spent on patient education, explaining the best way to keep one’s oral health strong between appointments. Away from work, I enjoy exercise, reading, and sewing. But my favorite times are those spent with my husband and family, especially my wonderful grandchildren. My passion is meeting new people and helping them to have better oral health and nicer smiles! 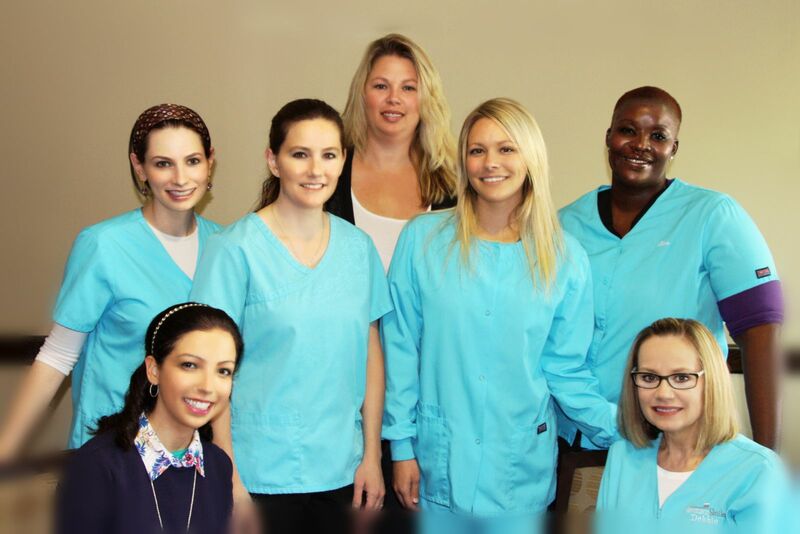 I started working at Stevenson Smiles because everyone works hard to ensure that our patients are happy and comfortable. I am a graduate of the University Of Maryland School Of Dentistry with a Bachelor of Science degree in Dental Hygiene. As a hygienist, I provide preventative and therapeutic services to my patients. I assess the individual oral health of each patient to make personalized recommendations for optimal oral health. I’m married to Tim. We have three cats and two dogs. We love going to the beach, cooking and spending lots of time outside. The pleasure of watching satisfied patients receive the best treatment, and witnessing the transformation a beautiful smile makes for our patients, make me love my job. I am second in command when it comes to ensuring that the front office runs smoothly, so our patients have an easy time with check-ins and check-outs, making their appointments, filling out forms, and everything else. I want to make sure that every patient has a good experience with us, as does everyone else in our office, so we’re always checking with our patients to make sure they are comfortable, relaxed, and have everything they need. When it comes to my personal life, I enjoy spending time with family and friends and love to pursue outdoor activities of every kind. I am also a Baltimore native. I love what I do, enjoy learning something new every day, and am grateful to be part of a team that provides the best dental care in Baltimore. As the office manager, I handle everything related to human resources, including payroll and our employee benefit programs, as well as recruitment, hiring, coaching, and staff development. I also oversee our accounts receivable and review insurance benefits with our patients to ensure they know their options and how to make the most of them. I am a Baltimore native and went to Delone Catholic High School. My husband Jason and I live in Hanover, PA, with our three children, Philip, Emily, and Savannah. When I’m not working, you will find me enjoying time with my family, visiting my daughter at college, traveling, and, most of all, out shopping!